Are you ready for unlimited eyelash extension fills? If that doesn’t grab your attention, we don’t know what will. When you join Eyelash Club that is exactly what you’ll get. Eyelash Club Lakeshore in Tempe is ready to apply beautiful eyelash extensions on you today! It’s that time of the year when having a great set of eyelashes on will save you time and enhance the way you look and feel. We provide high quality lash extensions applied by licensed and trained lash technicians. 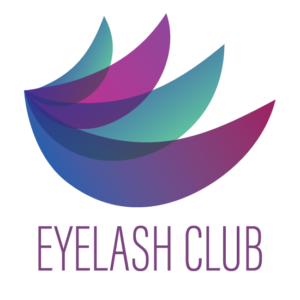 Conveniently located off US 60 and Rural Road at 4635 S Lakeshore Drive inside The Lakeshore Business Suites in Tempe, AZ, Eyelash Club’s inaugural studio is waiting for you to join the club. With two locations, Eyelash Club is the only eyelash extension studio or salon to offer truly unlimited eyelash extension fills for one flat monthly price. We are so convinced you’ll want to keep your eyelash extensions that we don’t lock you into a contract or charge a cancellation fee or any other hidden fees. That’s right, you only pay once a month for unlimited eyelash extension fills. Eyelash Club is the place to go for eyelash extensions in Tempe, Phoenix, Chandler, Gilbert or Mesa. When you join the club, your first month of fills is included with the price of your first full set! Don’t be tricked by another studio’s subscription for “discounted fills.” And there is no additional charge for a more experienced tech to apply your eyelash extensions. You can expect the same quality of lashes and service from each and every one of our artists. Booking your appointments is a snap with our easy to use online Member Dashboard, so join the club and start getting monthly unlimited eyelash fills today! Natural with a little more length and volume. Ideal for those looking for just a little something extra. A little more than natural but not quite dramatic. Perfectly flirty. If you are you looking for a la cart Lash Services at our Lakeshore location in Tempe, book now by selecting a service below.